On Sunday, members of the Youngstown State University football team said the Penguins needed to finish strong if they wanted to make a run in the Football Championship Subdivision playoffs. 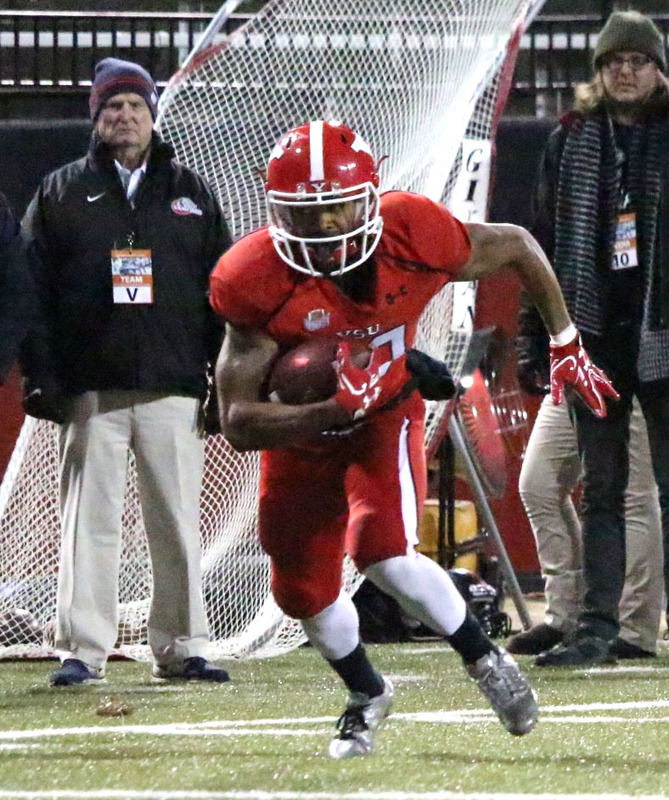 YSU (9-3) started the playoffs strong after it beat Samford University 28-24 on Saturday night. The Penguins entered halftime with a 10-7 lead, but YSU scored 14 points in the first 10 minutes of the third quarter to extend the lead. 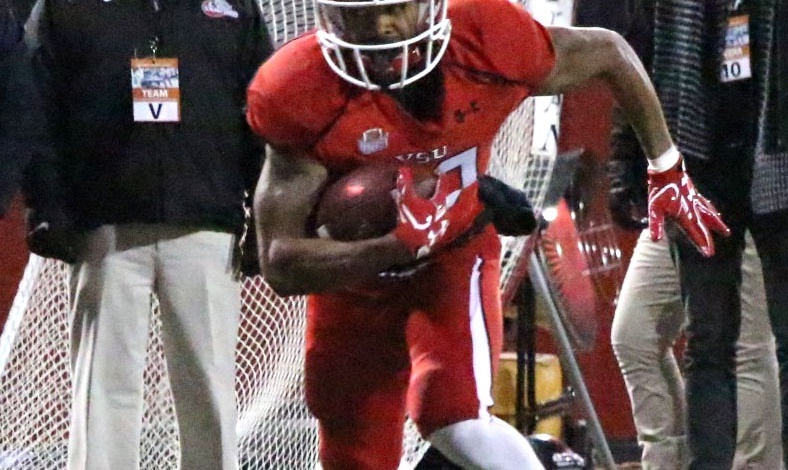 Youngstown State University running back Jody Webb makes a cut toward the middle of the field. career-high 174 yards rushing and contributed 32 yards receiving. Samford (7-5) moved the ball well through the air, but Samford head coach Chris Hatcher said the biggest issue was dealing with the YSU defensive line. The Bulldogs ran the ball 17 times for 24 yards rushing. 11 of Samford’s 17 rushing attempts came from quarterback Devlin Hodges. Hodges was forced to carry the Bulldog offense. Hodges completed 33 of 51 passes for 372 yards passing, but the YSU defense started to generate pressure as the game progressed. YSU recorded three sacks and seven quarterback hurries, the team’s second most hurry total of the season. YSU defensive end Derek Rivers said it was “a blessing” to play a playoff game at home during his senior season after failing to make the tournament in previous seasons. “It meant a lot. Every win from here…it meant a lot. To go undefeated [at home] in our final season, it’s nice,” Rivers said. YSU head coach Bo Pelini said the team played well on Saturday and has shown improvement throughout the season. Pelini said he’s proud of the way the team played and wants to see the same type of execution heading into the next round. 31-10 SU — Reece Everett 20-yard field goal. Passing_SU, Devlin Hodges 33-51-3-372-0. YSU, Hunter Wells 8-12-0-142-0. Rushing_SU, Devlin Hodges 11-15-0. YSU, Jody Webb 27-174-2. Receiving_SU, Karel Hamilton 11-147-0. YSU, Alvin Bailey 3-34-0. Sacks_SU, Tonne Osaigbovo 1, Ahmad Gooden 1. YSU, Jaylin Kelly 1, Derek Rivers 1, Joshmere Dawson 1. Tackles_SU, Jamerson Blount 9-8-1. YSU, David Rivers 8-8-0.